Modi took office on a wave of optimism he would change India's economic fortunes. Although India has not grown at the anticipated pace, investors remain hopeful his reforms will pay off eventually. As India's top software services companies Tata Consultancy Services Ltd and Infosys Ltd get set to kick-start another earnings season - the last under Modi's current tenure - expectations remain muted. Yet, Indian stock markets trade near record highs and many investors remain upbeat. "Interest rates have fallen quite drastically and retail investors are left with less choice," says Krish Subramanyam, co-head, equity advisory at Altamount Capital. "Equities have been a preferred investment, and having Modi has kept markets buoyant." The NSE Nifty has risen about 7 per cent this year, and about 63 per cent since Modi took office in 2014. Recent opinion polls suggest Modi's Bharatiya Janata Party-led (BJP) alliance will win a thin parliamentary majority in the elections. 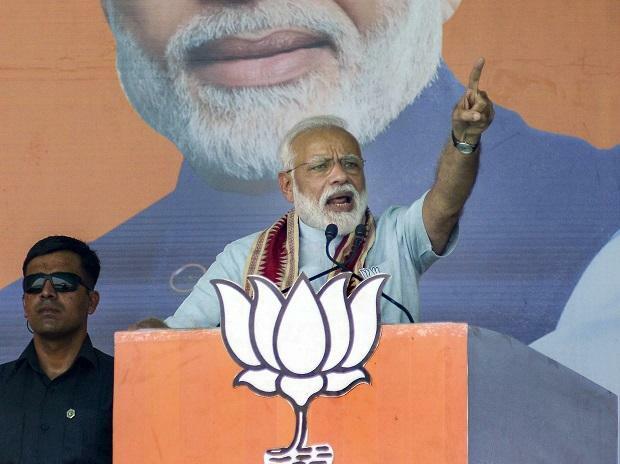 If opinion polls suggest Modi will not return, that "could cause some nervousness", said Gautam Chhaochharia, head of India research and a managing director at UBS. The stock market has rallied without support from earnings. Aggregate data on 399 of India's largest listed companies for which comparable data is available shows earnings have fallen in four of the five years of Modi's tenure, whereas they rose in four out of the five years his predecessor Manmohan Singh was prime minister. The data, sourced from Refinitiv, also shows that on average, earnings rose 11.94 per cent annually under the prior government, while they fell 3.72 per cent during Modi's time. "The underlying earnings trajectory is not even average, it's one of the worst," said Chhaochharia. The ratio of corporate profit to gross domestic product (GDP) for companies in the Nifty 500 Index was 2.8 per cent in 2018, the lowest in 15 years, according to a report by Motilal Oswal Securities. The nearly 75 per cent rise in the Nifty 500 index during Modi's tenure also reflects a flight of money from traditional investments such as real estate and gold into shares following his shock 2016 ban on high-value bank notes. Still, the performance lags that during each term of Congress-led coalitions, when the Nifty 500 rose nearly 100 per cent.